Toddler Thursday: What’s Your Religious Holiday? We Call Ours “Eid” | How Do You Do It? How to get toddlers involved and excited about a holiday when you are strung out from months of lack of sleep, the twins can’t stay up past 7:30 p.m., and are too little to really understand anyway? First, some background on this holiday I’m talking about. Last week, millions of people across North America celebrated Eid-Ul-Fitr to mark the end of Ramadan, a month of daily fasting. There are two Eid holidays that occur within a few months of each other. The second one, Eid-Ul-Adha, marks the pilgrimmage to Mecca which millions of faithful followers perform each year. 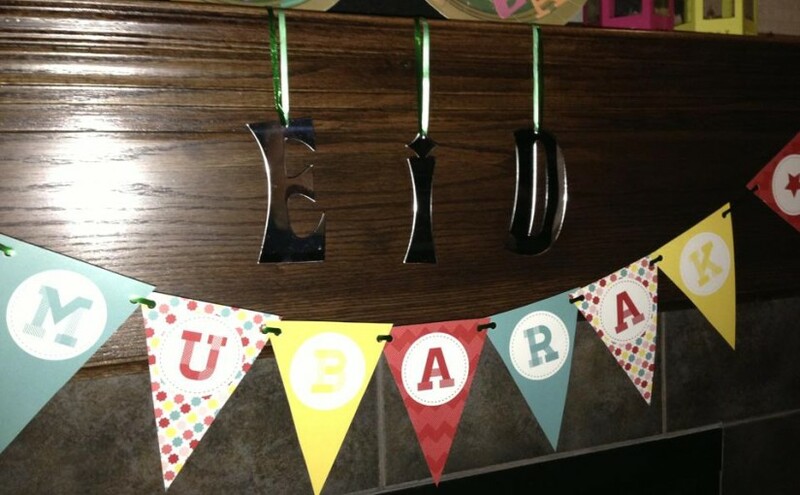 These days, many Muslim families with young children are looking for ways to adapt the customs and rituals of Eid celebrations from “back home” and adding a North American twist. Eid is usually celebrated by dressing in new clothes, going to early morning community prayers, visiting friends and neighbours, and noshing on delicious spreads of sweet, salty, and fried foods that you normally wouldn’t eat all in the same day! Growing up, the excitement of Eid was always in dressing up in cultural clothes, going to “Open Houses” where the aforementioned food would be laid out, and getting small amounts of cash in envelopes from older relatives and family friends, called an “Eidee”. The first couple of Eids we dressed our little ones up in cute outfits, skipped the community prayer due to it being a logistical nightmare, and instead visited close family for lunch and dinner. When they became toddlers, I searched online for trendy, printable decorations to hang up on our fireplace to make things festive. They were only 2.5 years old that summer, but old enough to get excited about parties and Christmas. 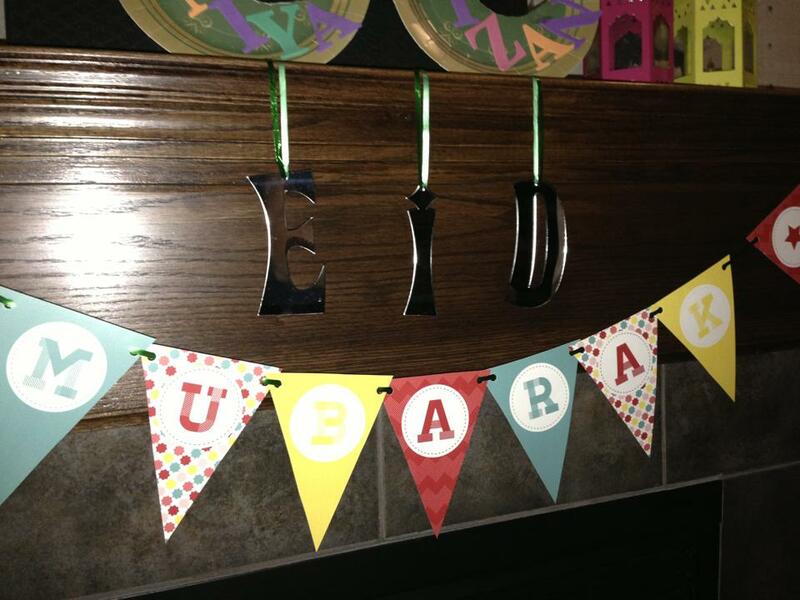 I found some adorable, free printables for Ramadan and Eid banners at Sakina Design. For the stairs, I wrapped thick, multi-coloured ribbon from Michaels around as you would tinsel. And of course, there were the gold star decorations which I bought from Christmas clearances past. (Anyone else buy shiny Christmas decorations and use them for other holidays?) When Mister and Missy came home, their reaction was “Wow, niiice” and “Star!” By the next day they didn’t take notice. 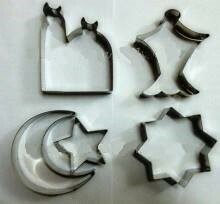 For Eid Year 3, I invested in some Eid-inspired cookie cutters from an online Ramadan and Eid decoration store called Eidway. They come in the shape of a five- and eight-point stars, moon crescent, lantern, and mosque, which are all recognizable symbols of the faith. 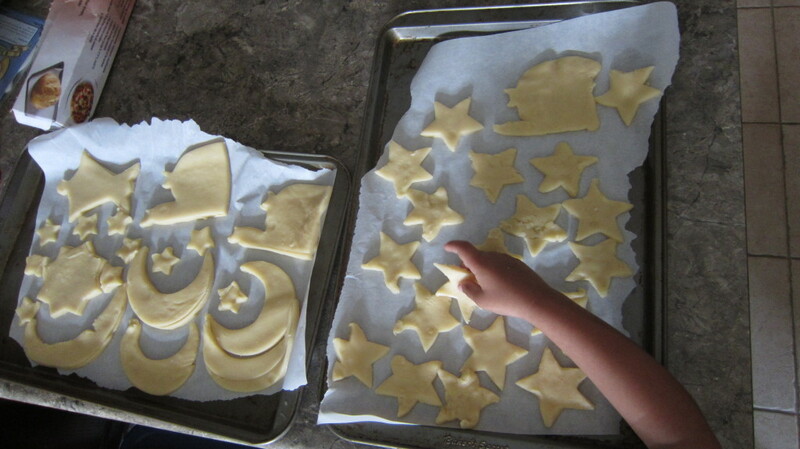 Since Mister and Missy were experienced play dough shapers, they loved making shapes with the cookie cutters. Other things I had planned which I didn’t get to do was make sheer korma (traditional sweet vermicelli in sweet milk dessert), make cookies for more neighbours, put up more Eid decorations including lights, and doing some craft activities. Oh well there’s always next Eid! How have you incorporated a unique holiday or celebration into your family lives? What new traditions have you started (or are thinking about starting) as your children get older? 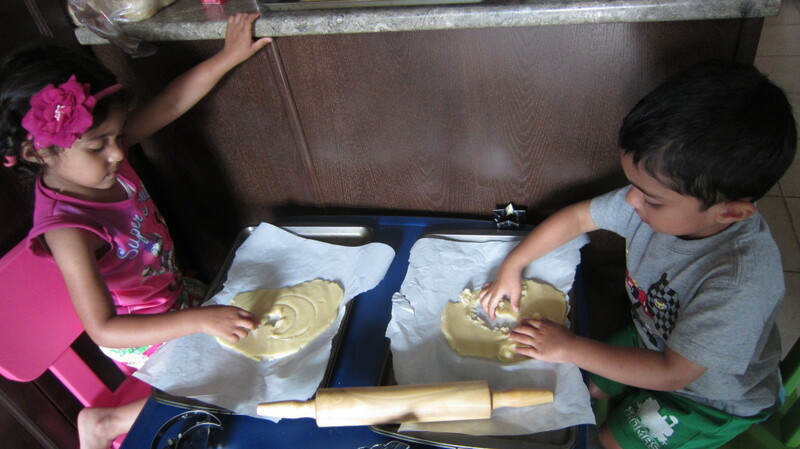 Ambereen is a proud Canadian-Muslim MoM of 4 year old BG twins. She is already making plans for fun activities to do with the kids for the next religious holiday. You can find her blogging at 2CuteBlog. I love this post! You’re doing such a great thing for your kids by creating these traditions and memories for them. As you know, like your family, I grew up Muslim in the West (UK), but my mother very actively discouraged such superficial things (to her) as tradition and celebrations. As a result, Eid wasn’t something that particularly registered with me, and to this day, I’m only aware that Eid has come around again when ‘Eid Mubarak’ messages start popping up on my Facebook feed. (Even during the 10 years we lived in Bangladesh, Mum discouraged celebration and I wasn’t permitted to join my cousins for the festivities.) I think it’s especially important to maintain family traditions if you want your children to own your values as their own when they are grown. One thing that we did do, which I greatly appreciate, was to give the poor children in our Dhaka neighbourhood new clothes every Eid, instead of getting new clothes ourselves. Generosity and an appreciation of my own good fortune are values that I still hold dear today.